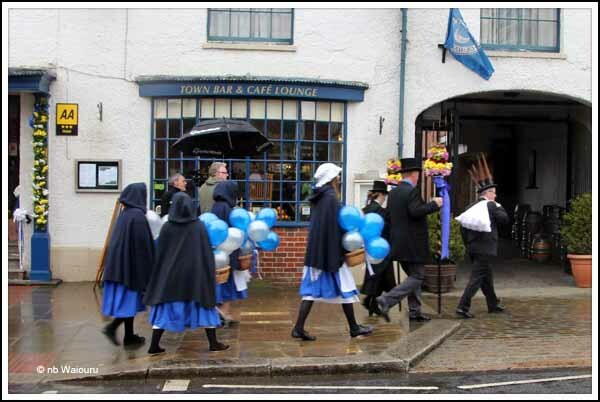 Although it was a damp and overcast start to the day we still walked the short distance to the Hungerford Town Hall to observe the official start to Hocktide. This is a very old celebration whose origin is now somewhat lost in time. One theory is it celebrates a massacre of the Danes or the death of King Canute. Every year on the second Tuesday after Easter the Hocktide Court is held. There are approximately 100 properties in Hungerford whose owners have ‘common rights’. These rights include the ability to graze a small number of animals on the town common, fish in the town water and to shoot on the common and ‘Freeman’s Marsh’. These rights are not transferrable. 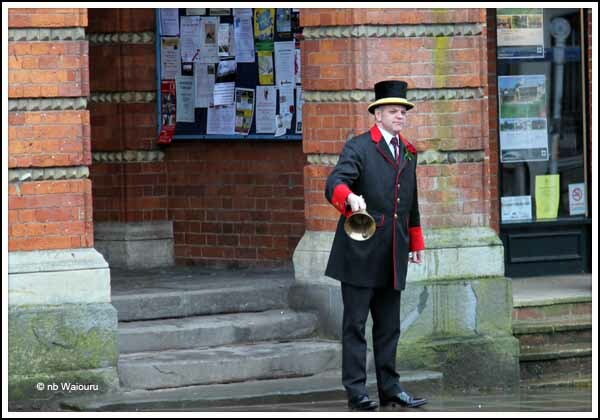 The celebrations commence with the ‘Bell Ringer’ blowing his horn from the Town Hall balcony. 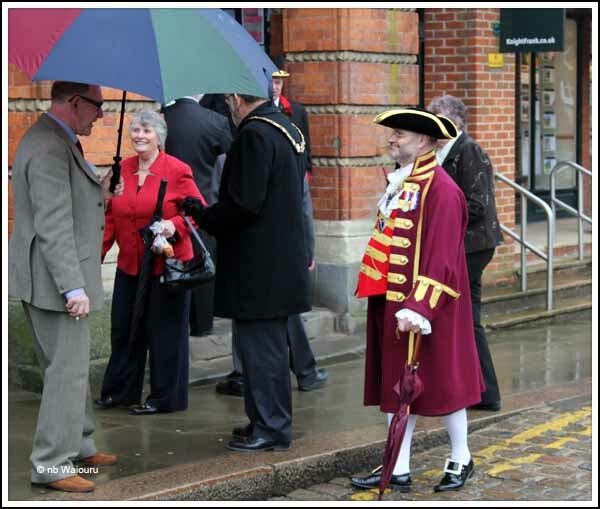 He then walks around the town ringing his bell and calling the ‘commoners’ to attend the ‘Hocktide Court. "Oyez! Oyez! All ye Commoners of the Town and Manor of Hungerford are requested to attend your Court House at 9 o'clock this morning on pain of being fined. God Save The Queen!" All commoners who fail to attend are required to pay the ‘Commoners penny’. It appears to be some type of ancient annual tax gathering process. At 9.00am the ‘Commoners Court’ commences. This consists of two Tutti-men, the Orange-man and the Tutti-wenches. The Tutti-men can be identified by their pewter mugs and the Tutti-poles they carry. The two Tutti-men (one was a woman this year) and the Bell ringer. 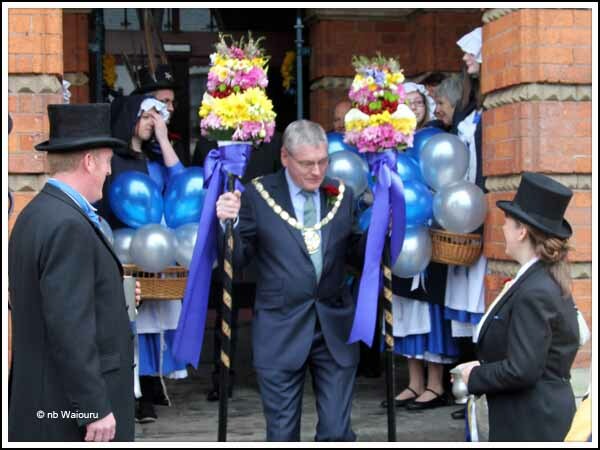 The mayor presented the Tutti-men with their Tutti-poles which have a bouquet of flowers on the top. 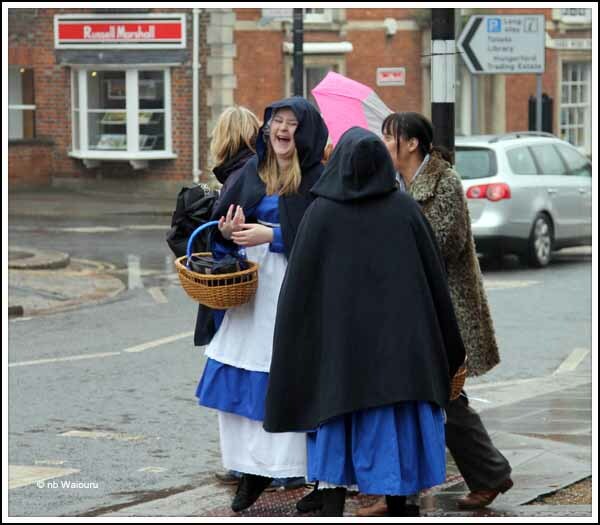 The Tutti-wenches are chosen from the local school and must live in Hungerford. 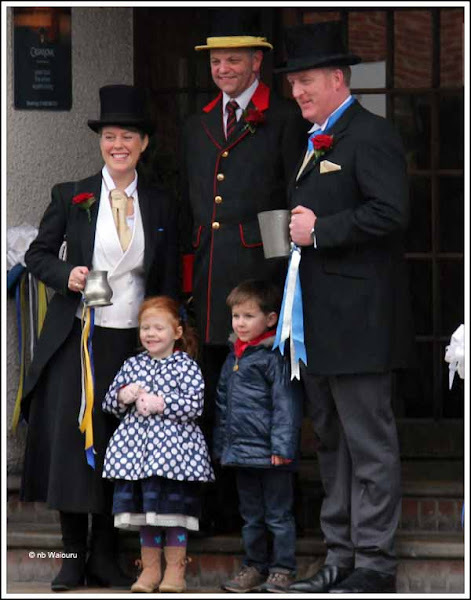 The Assistant Bailiff also attends as historically he is given a new set of clothes each year at the Hocktide Court. 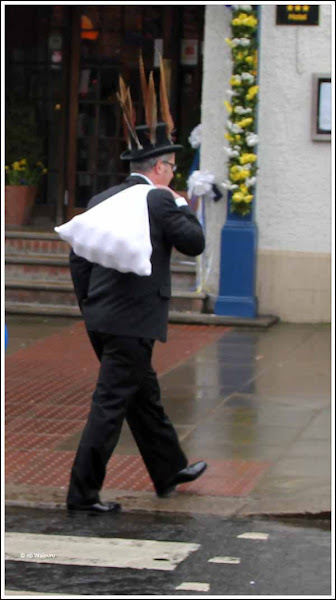 The Orange-man can be identified by the feathers in his hat and the sack of oranges he carries. They then spend the day walking around the town visiting the commoners. Apparently the commoners and their premises could be rather smelly, hence the flowers on the Tutti-poles. When the taxes have been paid the Orange-man would give the commoners an orange and the Tutti-wenches would give the children sweets and flowers. The flowers have been replaced with balloons. The Tutti-men also call in to all the town pubs to sample the goods and are reputedly very merry by mid afternoon. After all that excitement we decided to calm down by heading back towards Kintbury in the drizzle. The first task was to reverse the 300 yards back under the bridge to the winding hole. Just our luck a hire boat appeared as we were reversing back through the narrow section. They didn’t stop but ploughed on forcing us into the overhanging trees. I then promptly stuffed up my first attempt to wind Waiouru! Oh well… hopefully things will get better with more practice. As we departed Hungerford one long term moorer opened a window and mentioned he reads our blog. Unfortunately his boat didn’t have a visible name and we failed to ask….. So hello!